Yahoo just announced its second quarter 2012 earnings in which the company stated revenues of $1.22 billion, above Wall Street estimates of $1.10 billion. The company also reported earnings per share of $0.27, which beat Street estimates of $0.23. The firm said its search revenue, excluding traffic acquisition costs, was $385 million for the quarter, up four percent from the $371 million it reported during the same quarter last year. Its display revenue, excluding traffic acquisition costs, was $473 million, down one percent from the $467 million reported during the second quarter of 2011. The firm’s operating income was $190 million for the quarter, excluding restructuring costs and “other charges,” and its $0.27 EPS is a 47 percent jump year-over-year. Yahoo revealed Monday that it had hired a new CEO, Marissa Mayer, who formerly served as a top executive with Google. Yahoo! Inc. (NASDAQ:YHOO) today reported results for the quarter ended June 30, 2012. Revenue excluding traffic acquisition costs (“Revenue ex-TAC”) was $1,081 million for the second quarter of 2012, flat compared to the second quarter of 2011. GAAP revenue was $1,218 million for the second quarter of 2012, a 1 percent decrease from the second quarter of 2011. Non-GAAP income from operations of $190 million in the second quarter of 2012 was flat compared to $191 million in the second quarter of 2011. Non-GAAP income from operations excludes restructuring charges and deal-related expenses of less than $1 million in the second quarter of 2011 and $136 million in the second quarter of 2012. On a GAAP basis, income from operations decreased 71 percent to $55 million in the second quarter of 2012, compared to $191 million in the second quarter of 2011. In the second quarter of 2012, non-GAAP net earnings per diluted share increased 47 percent year over year to $0.27. Non-GAAP net earnings per diluted share excludes restructuring charges and deal-related expenses of less than $1 million in the second quarter of 2011 and$136 million, as well as the related tax impact of $36 million, in the second quarter of 2012. On a GAAP basis, net earnings per diluted share was $0.18 in the second quarter of 2012. Yahoo! named Marissa Mayer chief executive officer. Fred Amoroso was named chairman of Yahoo!’s board of directors and Daniel S. Loeb, Harry J. Wilson, and Michael J. Wolf joined theYahoo! board. Yahoo! and Alibaba Group Holding Limited (“Alibaba”) announced a definitive agreement for a staged and comprehensive value realization plan for Yahoo!’s stake in Alibaba. The first step is the repurchase by Alibaba of up to one-half of Yahoo!’s stake, or approximately 20 percent of Alibaba’s fully-diluted shares. In July 2012, Yahoo! and Facebook announced definitive agreements that launch a new advertising partnership, extend and expand distribution arrangements, and settle all pending patent claims between the companies. Yahoo! launched Axis, a new experience that re-imagines how consumers search and browse on the web. Axis offers the only search experience that allows consumers to enter their search, see and interact with visual results, all without ever leaving the page they are on. Axis seamlessly integrates with consumers’ favorite desktop browser and automatically connects the online experiences across multiple devices. Yahoo! launched Genome from Yahoo!, an online advertising solution that combines Yahoo! data with interclick’s third party data and advertisers’ first party data along with a premium media footprint to provide marketers with one of the most complete, custom audience solutions in the industry. Yahoo! and CNBC announced a strategic content, programming and distribution alliance that will dramatically expand CNBC’s online reach and presence and provide a broadcast platform for Yahoo! Finance’s original content and contributors. CNBC becomes the premier content source for Yahoo! 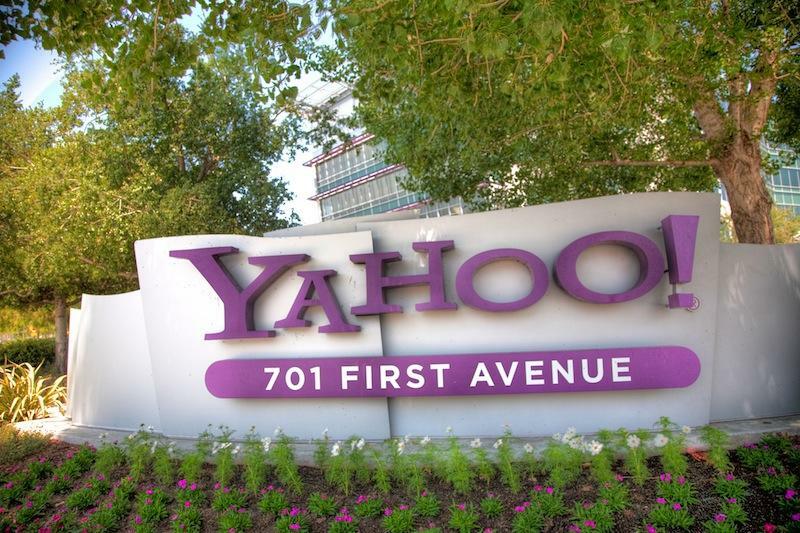 Finance in the U.S. and later this year, the two companies plan to co-create a new slate of co-branded, original videos which will appear on Yahoo! Finance and CNBC.com. Yahoo! and Clear Channel announced a cross-platform content distribution and promotion agreement. The multi-faceted relationship involves the distribution and cross-promotion of premium content in addition to a live concert series to the unparalleled combined audience of the Yahoo! Media Network and Clear Channel Media and Entertainment U.S. listeners across 150 markets, plus their websites and the audience of iHeartRadio, Clear Channel’s industry-leading digital radio service. Yahoo! and Spotify announced a global content distribution and promotion agreement that will enable Yahoo! to integrate and promote Spotify’s on demand music service on Yahoo!’s Media Network. Yahoo! will also create an app for Spotify’s platform featuring Yahoo! original entertainment content. Yahoo! extended its exclusive online agreement with Eurosport to host and operate the co-branded Yahoo! Eurosport site in key markets. By partnering with the #1 pan-European television sports network, Yahoo! will continue to bring exclusive, high quality sports content online to drive user engagement and provide premium content. Display revenue ex-TAC was $473 million, a 1 percent increase compared to $467 million for the second quarter of 2011. GAAP display revenue was $535 million, a 2 percent increase compared to $524 million for the second quarter of 2011. Search revenue ex-TAC was $385 million, a 4 percent increase compared to $371 million for the second quarter of 2011. GAAP search revenue was $461 million, a 1 percent decrease compared to $467 million for the second quarter of 2011. Cash flow from operating activities for the second quarter of 2012 was $275 million, a 17 percent decrease compared to $331 millionfor the same period of 2011. Cash flow from operating activities was $572 million for the six months ended June 30, 2012, a 7 percent increase compared to $536 million for the same period of 2011. Free cash flow was $93 million for the second quarter of 2012, a 2 percent decrease compared to $96 million for the same period of 2011. Free cash flow was $289 million for the six months ended June 30, 2012, a 90 percent increase compared to $152 million for the same period of 2011. Cash, cash equivalents, and investments in marketable debt securities were $2,401 million at June 30, 2012 compared to $2,530 million at December 31, 2011, a decrease of $129 million. During the second quarter of 2012, Yahoo! repurchased 30 million shares for $456 million. Yahoo! will host a conference call to discuss second quarter 2012 results at 5 p.m. Eastern Time today. A live Webcast of the conference call, together with supplemental financial information, can be accessed through the Company’s Investor Relations Website athttp://investor.yahoo.com/results.cfm. In addition, an archive of the Webcast can be accessed through the same link. An audio replay of the call will be available for one week following the conference call by calling (888) 286-8010 or (617) 801-6888, reservation number: 98876440.